One of America's most celebrated poets looks inward in this powerful collection, a rumination on her life and the people who have shaped her. As energetic and relevant as ever, Nikki now offers us an intimate, affecting, and illuminating look at her personal history and the mysteries of her own heart. 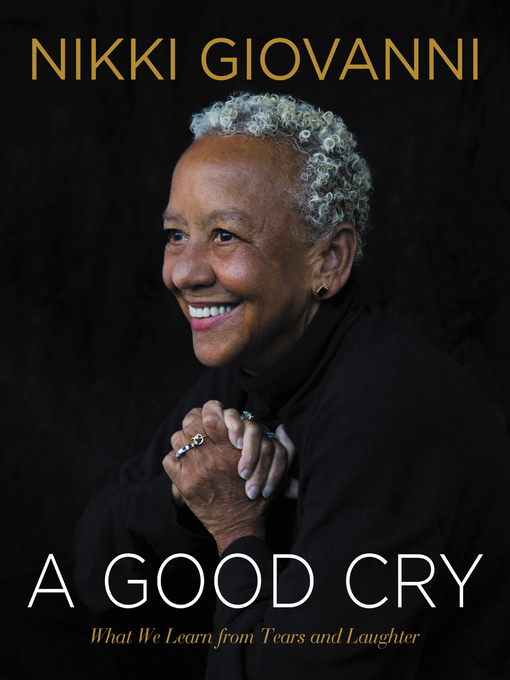 In A Good Cry, she takes us into her confidence, describing the joy and peril of aging and recalling the violence that permeated her parents' marriage and her early life. She pays homage to the people who have given her life meaning and joy: her grandparents, who took her in and saved her life; the poets and thinkers who have influenced her; and the students who have surrounded her. Nikki also celebrates her good friend, Maya Angelou, and the many years of friendship, poetry, and kitchen-table laughter they shared before Angelou's death in 2014.